Application Deadline: Varies by University between August & October 2016. Please check the relevant deadlines of the universities in the DAAD Brochure. Deadline: Deadline at the German Embassy: 31 July 2016. Eligible Countries: For students from developing countries who have a special interest in the economic challenges facing developing and transition countries. Brief description: Each year, the German Academic Exchange Service (DAAD) support young professionals from developing countries with a variety of scholarships to pursue internationally recognized Postgraduate degree in selected courses at German Universities. From among the large number of postgraduate courses offered by German institutions of higher education, the German Academic Exchange Service (DAAD) supports a carefully chosen selection of programmes of particular interest to junior executives from developing countries. These degree courses, which consist of one to two years of concentrated study, provide young, academically-trained professionals in leading positions from developing countries with the opportunity to engage in postgraduate education and training in their particular field or profession. Has completed an academic degree with far above average results (upper third) and at least two years of related professional experience. women and candidates from disadvantaged groups who meet the required academic and professional standards and show proven commitment to development-related issues are especially targeted for programme admission..
DAAD application forms are available on the DAAD website. 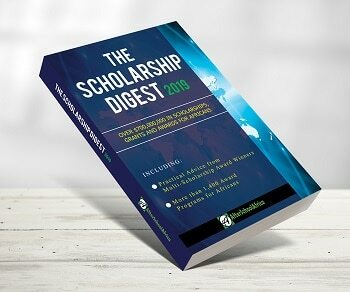 Important Notes: Scholarships cannot be awarded without the official DAAD application form. Many courses, however, have their own forms, which must be submitted in addition to the DAAD application form.